At long last, my next (and final, at least for now) video in my Autodesk Inventor Publisher series of videos! We're going to publish your Inventor Publisher data into "publicly" consumable format. Those formats can be one of several. 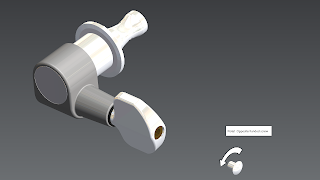 Microsoft Word documents, Adobe PDFs, Adobe Flash, Autodesk DWF formats, and even files for the Autodesk Inventor Publisher formats for iPhones, iPads, and Android mobile devices. So the first thing we'll have to decide is what format is the best for the end user we want to supply. That will ultimately a decision based on the best format to send to the end user. So far, we've seen how we can create the formats, adjust the timing of our instructions, as well as add annotations to the instructions. In this video, we'll talk about exporting the instructions and finally get them distributed to the users who will be using them! Tricks o' Me Trade ol' boy, Tricks o' Me Trade!